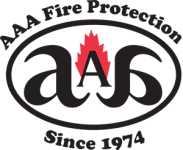 AAA Fire Protection Services work with Concord businesses and businesses throughout the East Bay, North Bay, and the tri-Valley area to provide maximum fire suppression services. We are a family-owned business that began in 1974 and after 40 years of providing fire prevention services to businesses just like yours, we have come to understand what is needed to help businesses reduce the risk of fire while providing maximum fire suppression capabilities. We do that through our fire sprinkler services, which include fire sprinkler installation. At AAA Fire Protection Services, we go beyond the minimum and offer full design capabilities that match the unique needs of your building. Our professionals are prepared to work with your design team, including architects, contractors, and builders. We begin the process by evaluating the needs of your building and then designing a system that exceeds the needs of your business and your building. We include fire sprinklers inspections so we can determine whether or not fire sprinkler repairs are needed. By monitoring the capabilities of every fire sprinkler system that we install, we are able to help businesses like yours reduce the risk of fire. For more information about our business or for quotes or questions just give us a call at (800) 543-5556.